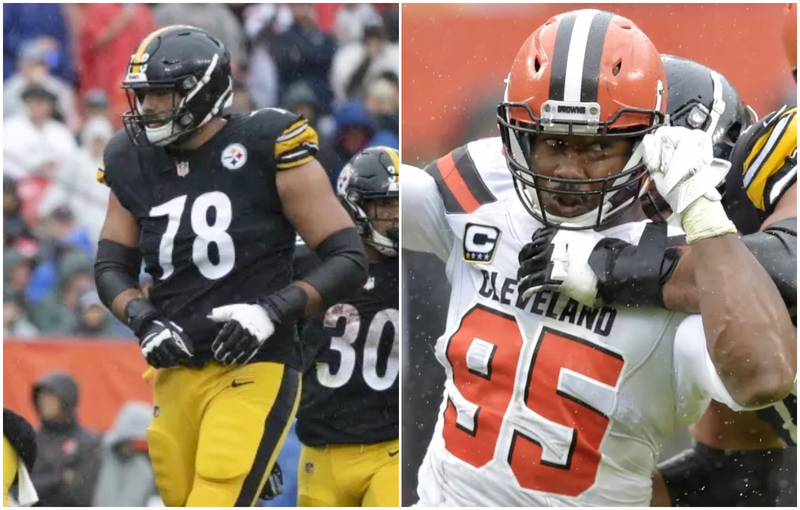 Coming into Sunday’s contest against the Cleveland Browns, offensive tackle Alejandro Villanueva had a tall task ahead of him; neutralizing Myles Garrett. 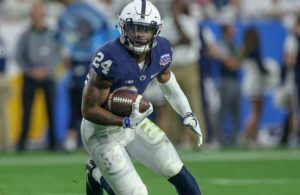 To gain a sense of how difficult this task would be, consider the following: in addition to finishing his rookie season with seven sacks, Pro Football Focus ranked him 8th overall in their top players under 25 list. Furthermore, Garrett was successfully able to convert over 48 percent of his pressures into either sacks or hits; among edge defenders with at least 250 snaps, this was tied for the fourth-highest. 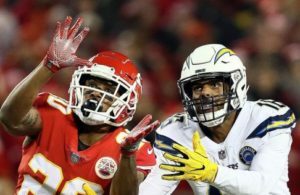 In less than two seasons, Garrett has become one of the premier pass rushers in the NFL, and his performance Sunday against the Pittsburgh Steelers was a reminder of that. Much of the success of the Steelers offense would be directly correlated with Villanueva’s ability to stop his pass rush and keep quarterback Ben Roethlisberger protected. It started well enough but toward the later stages of the contest, it became clear that Villanueva was overwhelmed by Garrett’s speed and power. The fact that he only allowed two sacks in a game that extended into overtime, says much about Villanueva’s resilience if anything else. In the early stages of the contest, Villanueva did a good job keeping Garrett from coming through, in some case, winning some one-on-one battles. In this sequence, we see Garrett lined up at the right outer defensive end spot in a 4-point stance. When the ball is snapped, Villanueva does a good job getting that first step out and establishing his base. Note how his lateral movement plays a big part in the sequence as he is able to push Garrett completely off the arc. Roethlisberger is given enough time to find receiver Juju Smith-Schuster for the big gain. Proper movement, proper base, and technique are the reasons why Villanueva was able to neutralize Garrett. But as the game went onwards, Villanueva’s deviated from technique and the results became disastrous. An underrated aspect about Garrett is his bend. Many laud for his natural strength, but his flexibility is impressive considering his size (6’5, 275 lbs). With this in mind, he is the type of pass rusher that needs to be completely taken out of the play or he will continue pursuing till he reaches his goal. In this sequence late in the contest, Garrett is seen again in the outer defensive end spot. From the snap, Villanueva initially does a decent job getting him off the arc, yet note how is able to bend, hold his balance and circle back inside. I watched this clip a few times because it was impressive to watch his flexibility and athleticism working in unison. There was not much Villanueva could have done; his first step was fine, his lateral movement was fine. This was one of those instances where he could have done nothing except to hold him. By the time the contest reached overtime, Villanueva was overwhelmed and had little to no success against Garrett. In this sequence we see Garrett again from the outer right defensive end spot but this time in a 2-point stance. Beside Villanueva is tight end, Jesse James. When the is snapped, Garrett’s jumpoff is so explosive, Villanueva had no time to set feet or establish the proper position to seal him. In essence, Garrett had him completely beat giving Villanueva no other option to take him down, resulting in a penalty. From reviewing this clip a few times, I was given the impression that James’ role may have been to chip block Garrett in addition to running his route. With that said, this should have been a sack as he had Villanueva completely beat. Considering what was at stake and the type of game Roethlisberger was having, it was the right decision to take that penalty. As noted at the beginning, for Villanueva to allow two sacks the entire game against him was a victory in itself. Based on the amount of pressure Garrett was getting, he should have had as many sacks in this game as Steelers outside linebacker TJ Watt did for his defense. It was certainly not one of Villanueva’s finest performances, but he can take some consolation in the fact that he may likely not see many pass rushers of Garrett’s caliber. Yet his battles with Garrett are just beginning the play the Browns again in week 8. For Villanueva, there is much work to be done and hopefully, his next meeting with him will yield a better result.